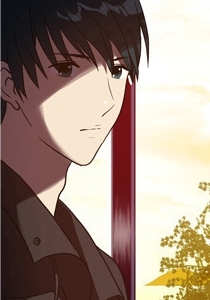 Jae Min is handsome teenager who is known to be the school's most popular student. His hair is teal in color and his eyes are also teal. During school, he wears a white t-shirt with a dark blue vest and navy blue pants. Jae Min Jae Min seems to have a hate for women and acts very cold towards them. At one time, he even yelled at them just because they touched him. Jae Min has been shown to be able to play the drums. He is very good at basketball. He is shown to be able to get 3 pointers in easily. Jae Min's hate for women comes from his step mom. For two years, she would physically abuse him for doing anything - from not finishing his food to just beating him for no reason at all. When his actual mother returns two years later with a new boyfriend as his step-dad, he thought it would be best to just leave the house and live on his own.